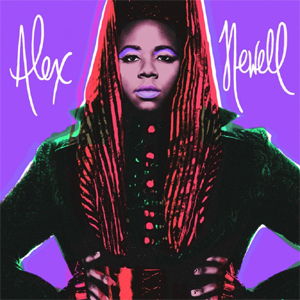 Spin This: "This Ain't Over," "Basically Over You (B.O.Y.," "Devilish"
Glee co-star and flamboyant Millennial-era gay icon Alex Newell is jumping into new territory as a 21st century disco divo. Using the building blocks of Gloria Gaynor and Martha Wash, the 23-year old rising star finds himself embracing a collage of urban-spiked EDM shouldered by the works of MNEK, LDN Noise, Red Triangle, Digital Farm Animals and others. Power, a five-track EP with cover art looking like it’s been touched by the hands of Andy Warhol, is bombastically painted with uptempo jams and shows off Newell’s pitch-perfect place of belonging on the dance floor. With Disclosure-like riffs and dreamy synths flowing across “This Ain’t Over,” Newell goes for high notes that pierces through the ceilings of cathedrals. “Basically Over You (B.O.Y. ),” a granite empowering song that explores self-confidence after the downfall of a hard-to-shake relationship hits its downfall, hearkens back to the day of CeCe Peniston ‘90’s clubland. It’s quite funny to see the word “basic” — a slang word used commonly in gay circles to describe a plain, unsophisticated person — being used in a thunderous clapback song. But inside the lyrics, moving on is still a wrestle (“So don’t mind/I can do much better than you”). Newell continues that upward positive trajectory on the Freshup & Harley-produced cover of Sigma’s “Nobody to Love.” And then there’s “Devilish,” a song that blends Italo-disco with Chic-like guitar struts. Only “Shame” feels like an underachievement. Despite Newell’s soaring high notes and double duty on backing vocals, “Shame” lacks energy and the pop appeal of the songs that surround it. Still, four out of five is a win-win. Only the forthcoming full-length, hopefully blessed with the proper Diane Warren-type power pop ballads and a succession of more dancefloor magic, will grant studious listeners and newcomers with the type of record to transform Newell into an heir of Patti LaBelle.